In a country where startups were not as encouraged, some people came and changed the whole perception. That all you need to have is some belief to be able to do anything. Since our childhood, we’ve been enamoured by the stories of how people make it big. Though you would already know the people about whom I’m going to talk about here, still I’d like to brief them all out for you. Because for those who need some push, these are the people you need to learn about. If you’re quite aware of all the updates around you, then you’d know for a fact that the IIT-D alumni are the ones behind this e-commerce giant. 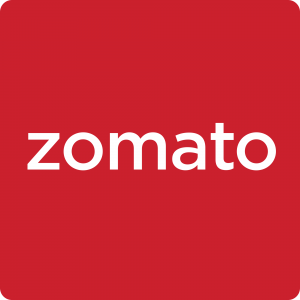 Working for Amazon, these two decided to quit and establish something of the same kind in India as well. Just like Jeff Bezos(founder of Amazon), these two also started their business selling books online. Later with the years passing by, Flipkart started selling almost every household things that a person could deliver to his/her home. Growing like this, now Flipkart is worth $17 billion and now it is among the top 10 e-commerce sites all over the world. Such has been the growth for this Indian company. One more of those frequently twirling word in our mouths. There wasn’t any Uber before OLA. Getting a cab was expensive and used a lot of effort to get connected with one. 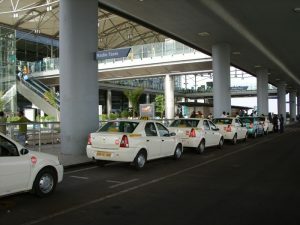 Then came the OLA service and since then cab booking has never been so easy. Almost every city in India is now connected with the OLA Cabs. Such is the market OLA has gained in the recent years. Starting in 2010 by the two IIT-B graduates, Mr Bhavish Aggarwal and Mr Ankit Bhati, Ola has now turned into a US$5 billion company now. Cashback, the concept that has changed the way that online marketing deals with, in India. Such change has been brought into the Indian market and the only one who deserves the credit is Vijay Shekhar Sharma. Born in a small town near Delhi, he has managed to take his company to a net worth of $10 billion. That’s not it, last year a paytm bank has been introduced as well. Which will now probably take the worth of the company to a whole new level. Launched in the year 2008, though this food marketing giant didn’t see an overnight success, but still took its own time until it became a known name all over the world. Deepinder Goyal had the job of pinning all the menus in the company he used to work earlier. Later on, he envisioned, how it’s going to be if he shows them all over the internet. His idea took its course but finally reached multiple souls. They have a presence in over 10,000 cities and 22 countries. This in itself shows the hype they’ve got. A regular practice in the western countries which came out new in India. An online market for the used items. Who wouldn’t prefer cheaper items and for the very same reason, Quikr was established by Pranay Chulet. An IIT-D and IIM-C alumnus, who founded it with the initial name of Kijiji India, later renamed it to Quikr. Quikr didn’t take as long time before marking its place on the minds of resellers. This start-up has now raked in some millions of dollars worth. An IIM-Ahmedabad alumnus, the most coveted Bschool in India, Deep Kalra is the man behind this company. Starting in 2000 as an Indo-American travel consultancy, later on, established itself in India in 2005. From then on there was no looking back for this travel agency. Later on, it started providing domestic and international holiday packages, hotel reservations and bus tickets, etc. Starting in 2005 with not so much of a pace. This company has now been one of those few startups that are considered to be rapidly growing in the business world. Mr Phanindra, Sudhakar, and Charan are the co-founder and CEO of RedBus that’s now a known name to every person who’s fond of travelling by bus. Earlier to this, looking for a bus wasn’t that easy a task and there weren’t multiple options for the buses either. Now the Redbus has reached a position where its revenue is above $12M. Scion of a billionaire, this Sunil Bharti Mittal’s son has all that not every other billionaire’s son would do. Educated and having a good insight of things, this businessman’s son has written a separate chapter for himself rather than being known as a son of Sunil Bharti Mittal. Founded in the year 2012, hike didn’t take much time before it hit every other smartphone user’s screen. Surviving against the messenger giant like Whatsapp is no piece of cake. It raised to a whopping $1.4 Billion in just 3.7 years since its foundation. Hike is the first company in India to be able to achieve that feat. A company started by Mr Ambareesh Murty & Mr Ashish Shah, after together working for eBay, has gone on to become the biggest furniture place in India. Spread across more than 1000 cities in India, after being founded in the year 2011, it didn’t take a long time before Pepperfry established a name for itself. With a net worth of about 150 crores, it’s now the largest store for furniture in the whole country. 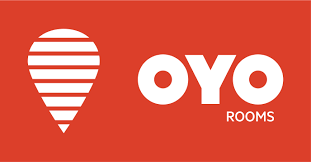 With about 4,200 hotels in 170 cities, OYO is the biggest budget hotel running firm, in the whole country. With just 21 years of age, Ritesh Aggarwal has become India’s youngest millionaire entrepreneur. Figuring continuing in college wouldn’t do him any good he dropped out of college. With frustrated parents’ pressure on one end, entrepreneur managed to rake in 360 crores in such a short span.